The Coupon Centsation: *HOT* FREE Re-Usable Baking Cupcake Cups! 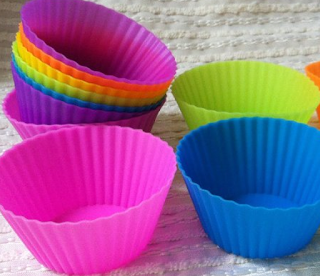 *HOT* FREE Re-Usable Baking Cupcake Cups! Hurry!!! This is one of the HOTTEST freebies that I have scored! Right now, snag your FREE Re-Usable Baking Cups. You'll also get a FREE cookbook. Score for ONLY $1 Shipped!